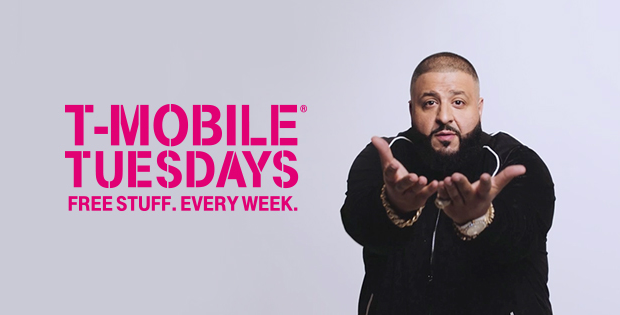 Next Tuesday is just a few days away, and now we know exactly what gifts and prizes T-Mobile will have in store for it. For the January 9th edition of T-Mobile Tuesdays, T-Mo customers will get either a free original pretzel or a Buy One, Get One pretzel deal from Auntie Anne’s. Free pretzels will be given every week from January 9th through January 30th, so you’ll need to check back each week to see when it’s your turn to get a free pretzel. Also coming to T-Mobile customers next week is a free VUDU movie rental and one month of at-home workouts from Les Mills On Demand. One grand prize winner next week will get a trip for two to Miami, Fla. to attend Premio Lo Nuestro, a Latin music awards show that’ll be held on February 22nd. The prize includes a trip to Miami from February 21st through February 23rd, round trip airfare, two nights in a hotel, two tickets to the awards show, passes to the official pre-show, and the opportunity to walk the magenta carpet. The winner will also get a check for $1,028 for taxes or other expenses. I tried out some of the Les Mills workouts. They’re fun and well put together. I’m excited for that free pretzel (love a good soft pretzel) and the VUDU credit. and nothing worth the trouble of renting. Half of these “thanks” are UNAVAILABLE – there are ZERO Hardy’s or Carls within 500 miles of south florida and the Auntie Annies told me THEY DO NOT HONOR ANY PROMOTIONS, and the half price Hersheys candy was available only at 7-Eleven which charges 3 times the price of any other store for candy bars – ALL ADD UP TO ZERO THANKS! A free trip to Miami? I live 10min from there, could I trade it in for what’s behind curtain #3?